Hanging baskets and gift certificates. Those were the items suggested most frequently when I asked my Premium Partners what the most popular gift items were for Mother’s Day, which is coming up on Sunday, May 8. 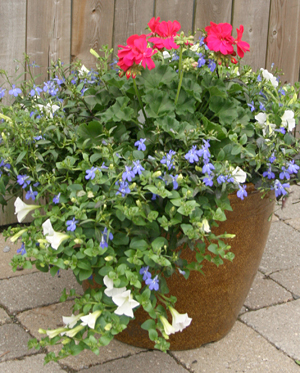 “The weather’s nice and people want something for outdoors,” said Dan Meyer, greenhouse associate at Mischler’s Florist and Greenhouses, 118 South Forest Rd., Williamsville, explaining why hanging baskets and patio pots are so popular. Mischler’s has them for sun or shade and they’ll last all summer. 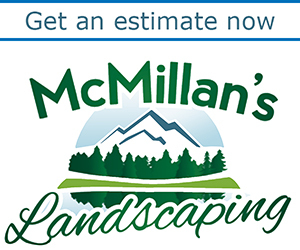 They have a wide variety of color combinations designed by professionals at Mischler’s. If you have something particular in mind, you can get hanging baskets or pots made up to your specifications at Waterman’s Greenhouse, 12317 Vaughn St. (Route 240), East Concord (Springville). If you want tender annuals that can’t be outside until after the danger of frost has passed, they will plant up the pot and care for it until it’s ready for you to take home. Find out more by calling Waterman’s at 592-9186. Arrangements of fresh flowers are also popular, especially if you can’t visit in person, said Meyer from Mischler’s. You can order online or call 632-1290. A rose plant makes a great gift for Mother’s Day, said Ethan Waterman, manager at Waterman’s Greenhouse. 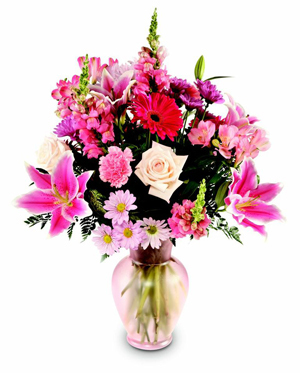 The flowers are colorful and roses are a traditional way to demonstrate your love. Waterman’s has both hybrid roses and Knock Out roses. 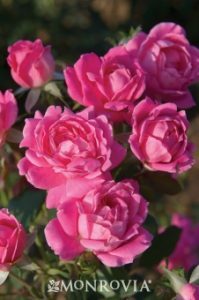 He’s a fan of the Knock Out roses, which he says are disease resistant, easier to grow and flower all summer. Waterman’s carries more than 20 varieties of roses. You can plant them now, but watch the weather. If it’s going to get below 32 degrees Fahrenheit, you should cover the plant with a cloth to protect it against frost, he said. Orchids are beautiful and bloom for a long period, said Teresa Buchanan, general manager at Lockwood’s Greenhouses, 4484 Clark St., Hamburg. But you’re probably not going to kill the plant. Many people are surprised to find out that delicate-looking orchids are really easy to care for. Phalaenopsis orchids are the easiest to care for, she said. When your orchids are in bloom, don’t set them in a sunny window. Direct light will make the blooms fade more quickly. The potting medium is a bark mix. Water will run right through it. You can use a couple ice cubes to water your orchid. As they melt, they will slowly moisten the potting mix. It’s important to fertilize your orchid to get it to rebloom. You can get a standard orchid fertilizer at Lockwood’s. Another easy-to-care-for plant is succulents. They’re drought tolerant, so they don’t need to be watered often. You can display them inside now, and when the weather is warmer, move them outside if you like. They can be displayed as a single plant or combined in creative ways. Use them to make a succulent wreath or use them for a fairy garden. 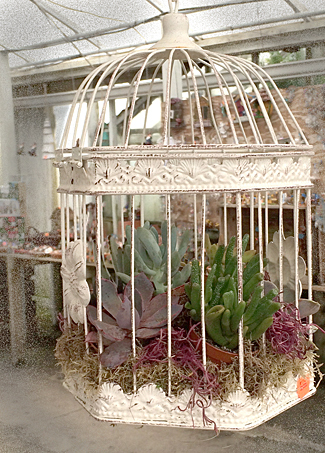 If you don’t want to go the do-it-yourself route, you can find charming succulent arrangements already planted in a bird cage at Mike Weber’s. “You really can’t go wrong with succulents,” Weber said. Decorations for the garden are popular for Mother’s Day, said Ray Crawley, store manager at Goodman’s Farm Market, 2227 Cayuga Drive Extension, Niagara Falls. 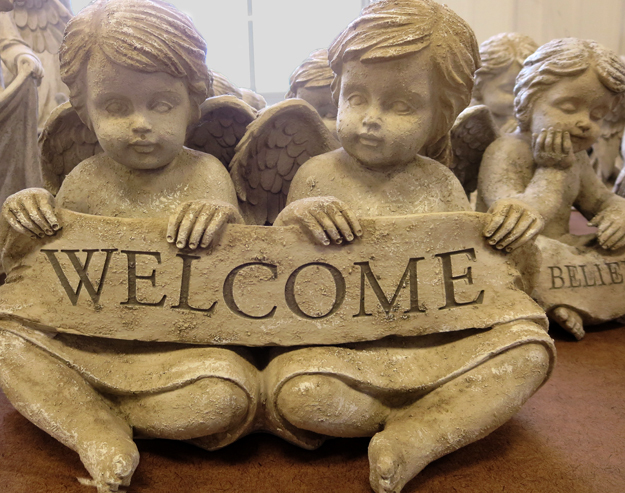 “We have 75 feet of tables” with garden decor, Crawley said, including a variety of angels and cherubs with inscriptions such as “Bless this garden.” Music of the Spheres wind chimes are also popular. Mugs and decorative plates with thoughtful sayings also make great gifts. Spend some time with mom at the Buffalo and Erie County Botanical Gardens, 2655 South Park Ave., Buffalo. It’s open from 10 a.m. to 5 p.m. daily. The whole family will enjoy a trip to the tropical oasis and some time to relax and enjoy nature. General admission prices are $9 for adults, $8 for seniors (ages 55 and older), $8 students (ages 13 and older), $5 for children ages 3-12, and free for Botanical Gardens members and children two and under. 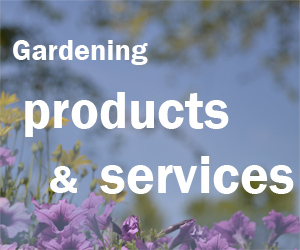 The Botanical Gardens’ gift shop offers great gifts for mom including gardening essentials, local jewelry, flowers and plants. Botanical Gardens memberships are also a great gift. Memberships include free admission for one year, discounts in the gift shop and at plant sales and reciprocal admission to over 300 gardens and arboretums across the country.